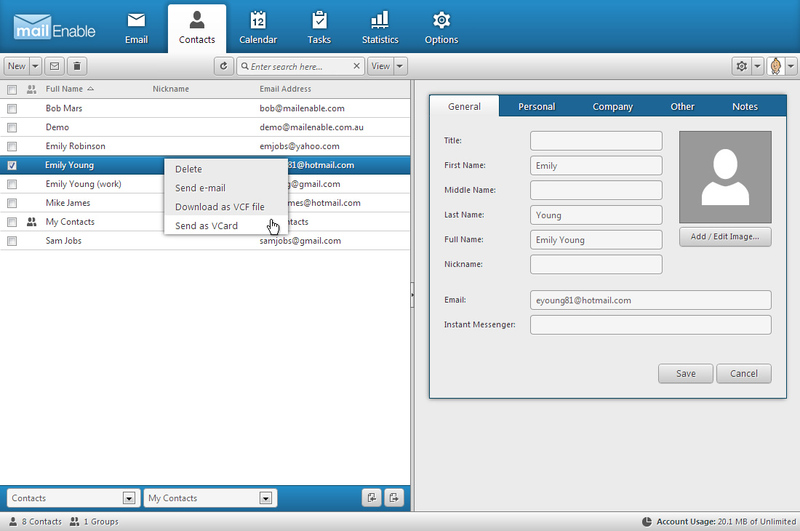 MailEnable Professional Edition provides additional mail Protocols to provide extra functionality and flexible mail access for end-users. 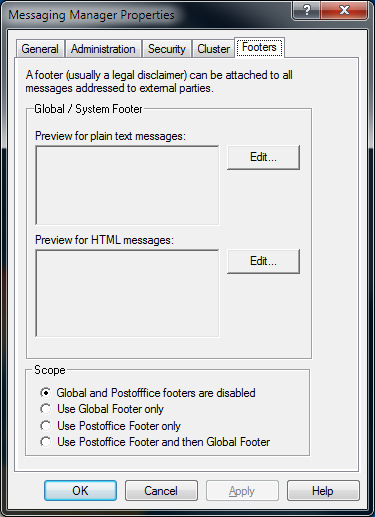 Supported mail protocols include POP, SMTP, IMAP and Webmail. An all-new Mobile Webmail was introduced in Version 7, a client designed exclusively for smartphones and tablets that is light-weight and supports swipe scrolling. 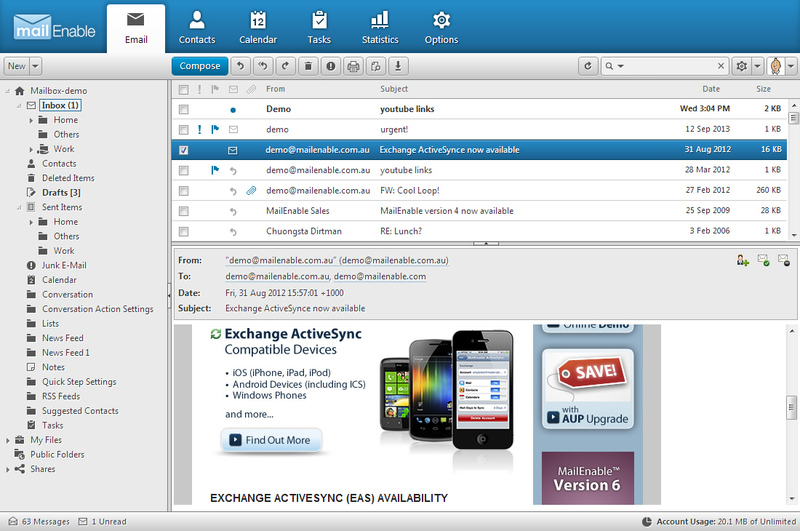 Version 8 includes an updated version of the Mobile Webmail client which includes support for Tasks and Calendaring. In Version 8, Webmail is now device aware and will provide Apple users with a link to configure the inbuilt device mail and collaboration client features. Manage post offices centrally or delegate rights to individual post office managers. 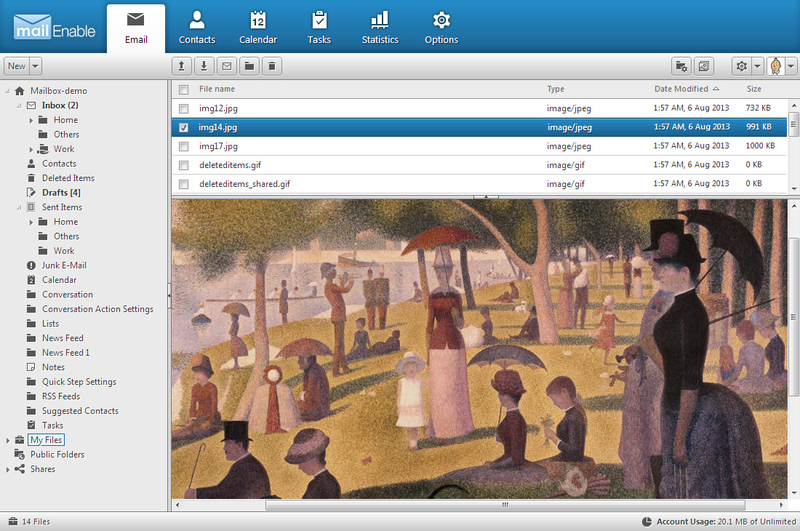 Manage users, mailboxes, lists, groups & domains from your web browser. .NET Web Administration includes multilingual support. 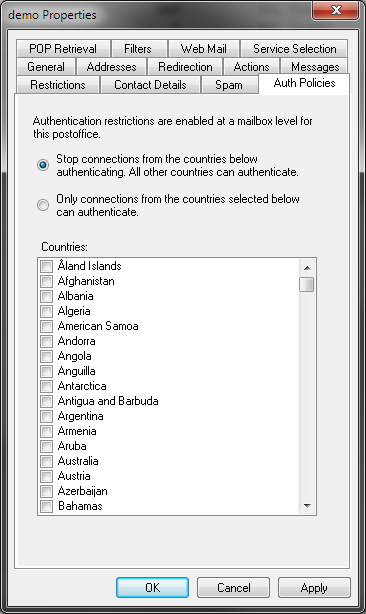 Control and organise mail using global content filtering Define rules for messages eg: forward emails, execute applications, delete messages with certain content, mark spam messages or quarantine messages containing attachments. CardDAV is ideal for mobile users who wish to access and update their contacts in real time via their mobile device. 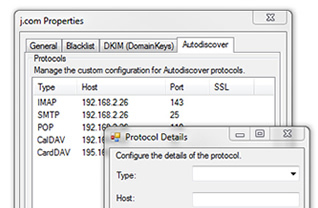 MailEnable Synchronization Service (HTTPMail) is responsible for providing CardDAV connectivity to MailEnable mailboxes over the HTTP protocol. 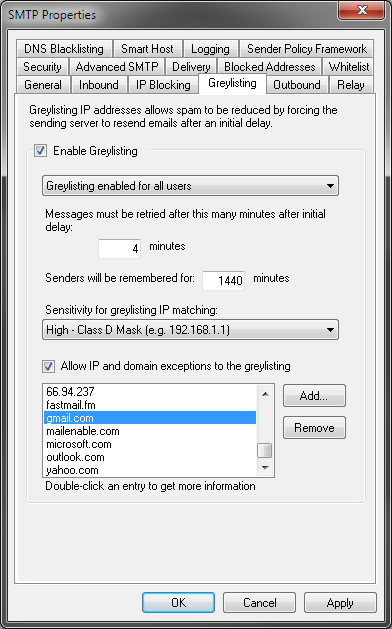 Guard your inbox from unwanted junk mail using anti-spam features including SPF, Bayesian Filtering, Greylisting, DKIM and URL Blacklist Content Filtering, which prevents spammers 'forging' email addresses to send spam. 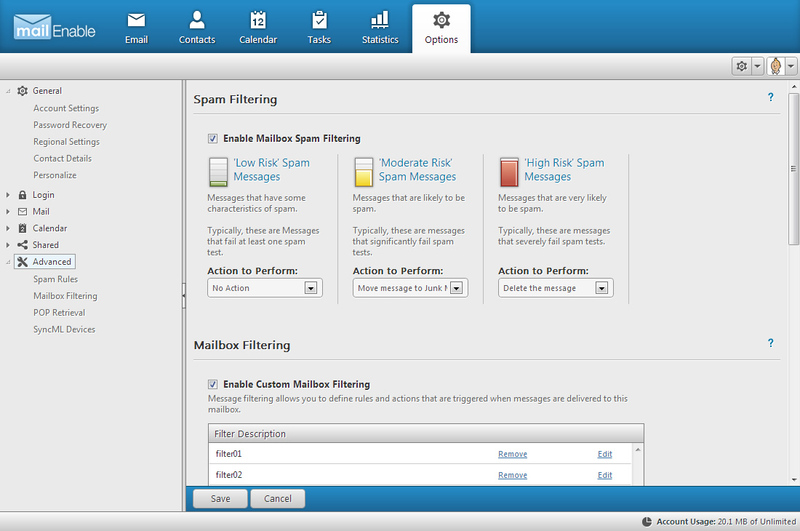 Other anti-spam features include; DNS blacklisting, global filtering, PTR record checking and much more. Protect your system from viruses! Professional Edition integrates with a variety of third party antivirus solutions in order to scan and remove viruses on all incoming or outgoing messages. Extensive security measures and authentication methods protect your mail server from unauthorised access. 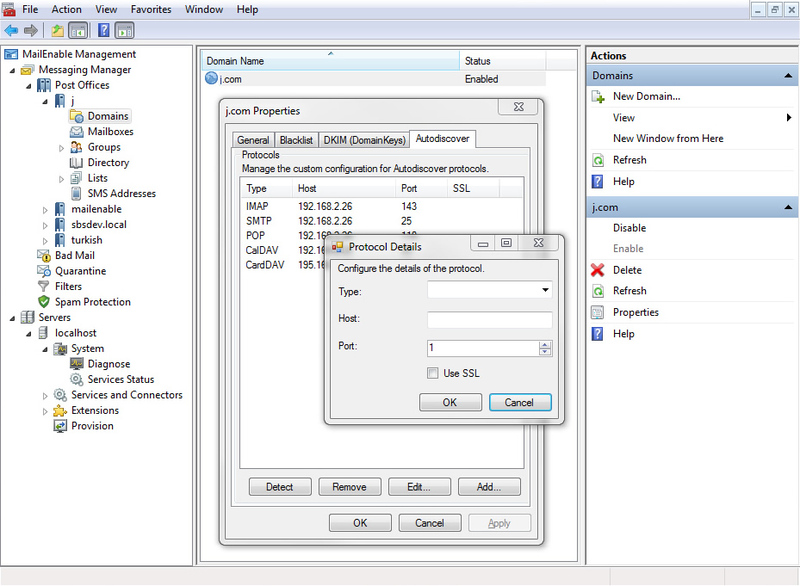 Includes SMTP authentication, integrated Windows authentication, relay control, SSL, NTLM & CRAM-MD5 support. MailEnable Version 8 also includes "one-click" configuration for Apple iOS devices. 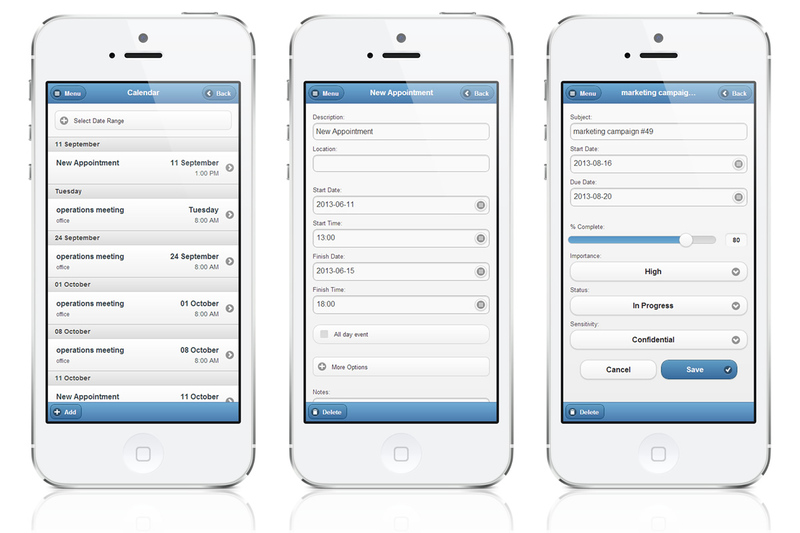 Setting up an iPhone account is now automated whether you are using Exchange ActiveSync or CalDAV / CardDAV / IMAP. 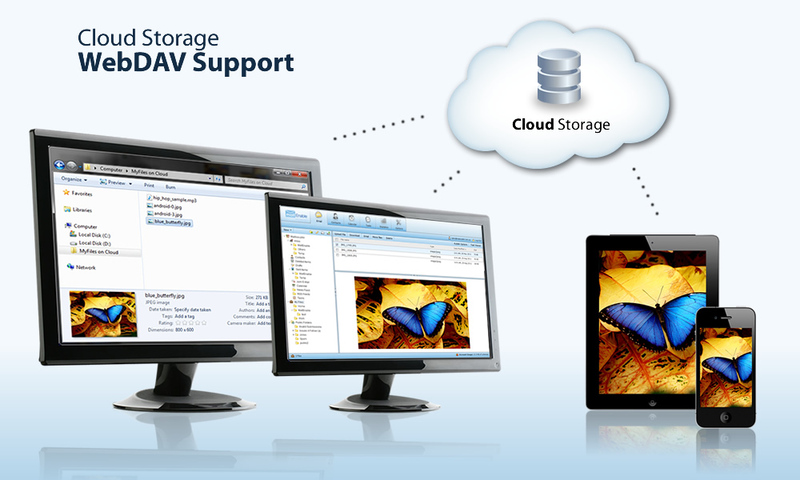 My Files is a server hosted file storage feature available from MailEnable Professional Edition. 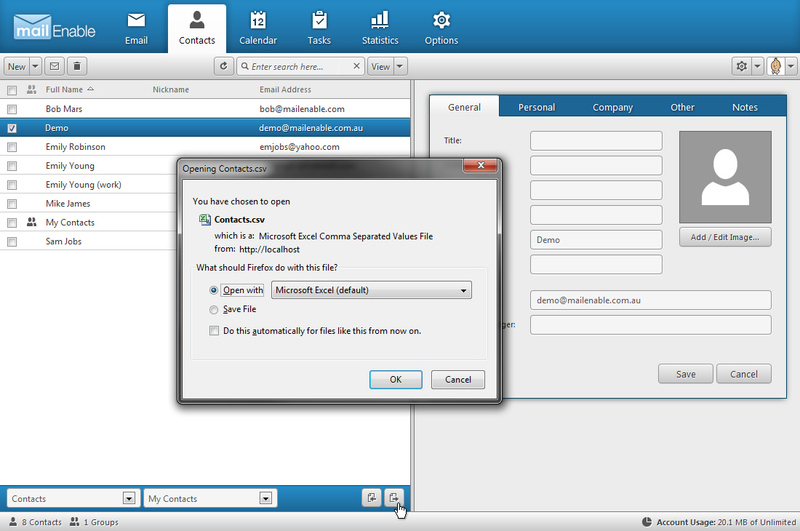 Through webmail you are able to upload files and save attachments from emails into your My Files storage. These files can then be emailed as attachments, or, with the use of the File Viewer, accessed in an easy to use way. Images and MP3s can be viewed and played from within webmail. 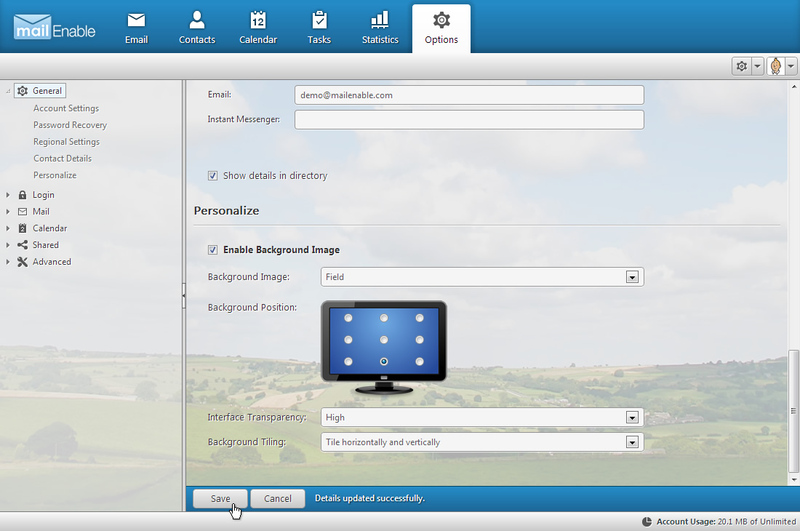 MailEnable's Webmail allows users to personalize their interface by customizing background watermarks, and the ability to configure opacity and position of the background image. Users can also upload images to their My Files storage location and use these images as background watermarks.